I make this recipe nearly every Friday nights with chicken or turkey breasts, salad, avocado, pepppers and beans. My family absolutely love it. Let’s say, I need to have a good reason for not making it!!. Combine 2 cups flour, salt, butter and milk. Dust bench top with flour, cut dough into 4 pieces, roll into balls, then roll out into about ⅛" / 0.3cm thick rounds. 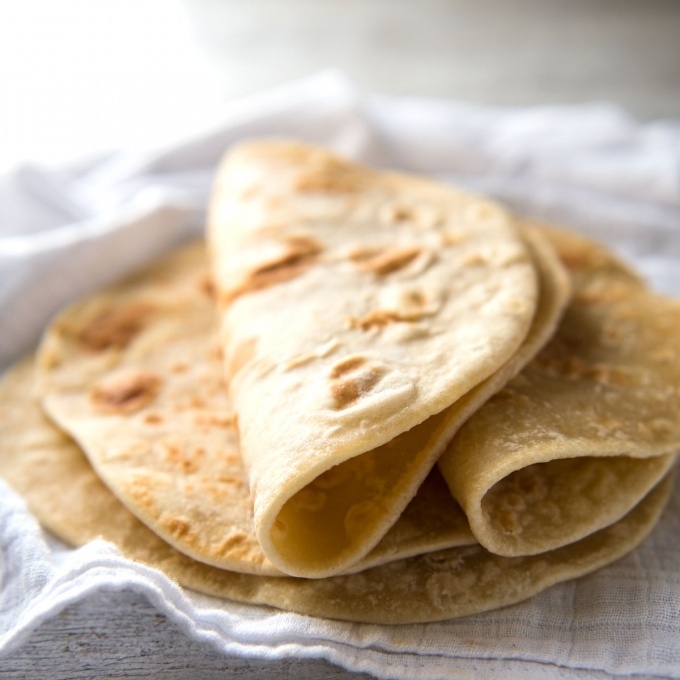 Place one flatbread in the pan, cook for around 1- 1½ minutes - it should bubble up (see photo in post)- then flip and cook the other side, pressing down if it puffs up. There should be a smallish golden brown spots on both sides. Continue to cook with remaining pieces. Optional: Brush or spray bread with olive oil or melted butter, for a more luxurious finish. Or even with melted butter mixed with minced garlic for a garlic butter version!